Ret Ring Display Board comes with 17 wire hangers that can hold up to 15 Ret Rings on each hook for immediate use. 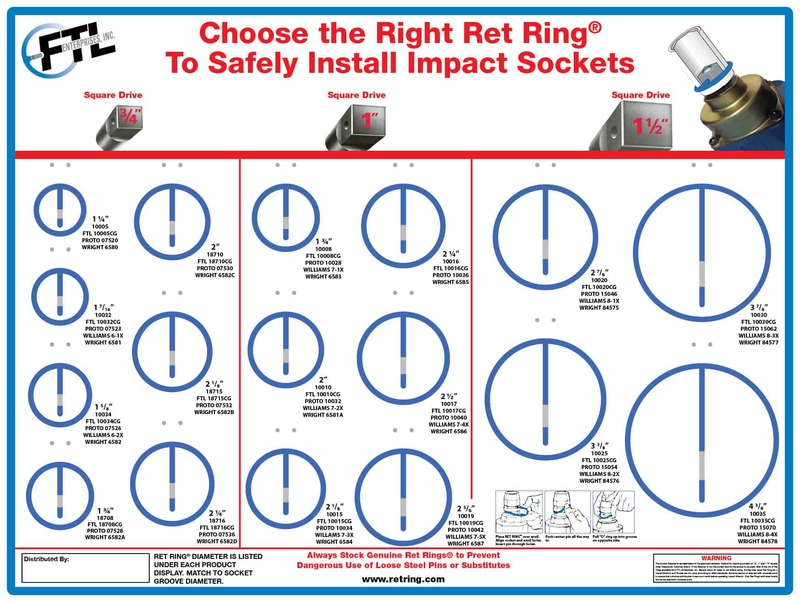 The printed RET RING images on the board are the actual size of the Ret Ring so it is easy to match up with your sockets to select proper size Ret Ring to use. 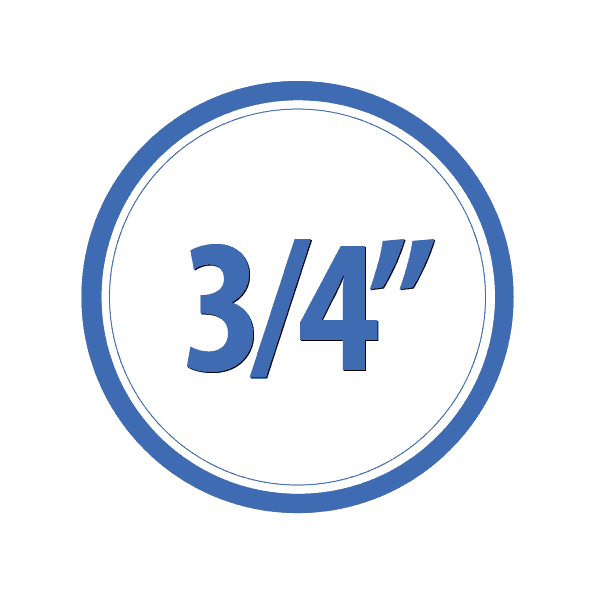 It is fabricated of stiff 3/16" thick fiberboard with a clear lamination on surface to protect against moisture. 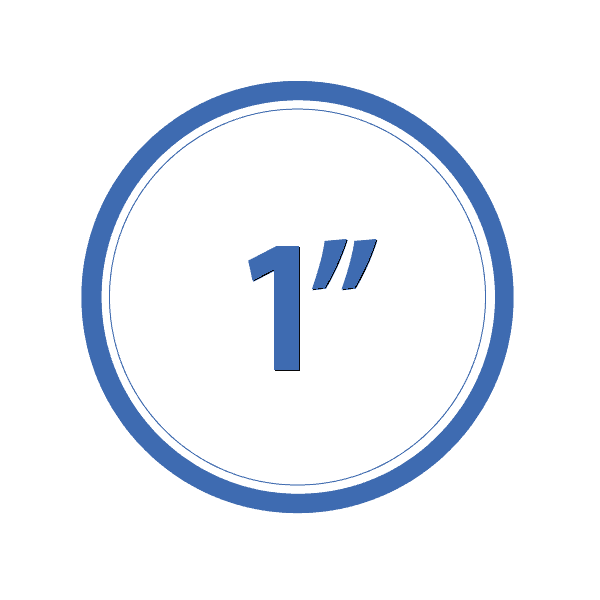 A metal grommet on each corner allows easy mounting in a tool room or shop. 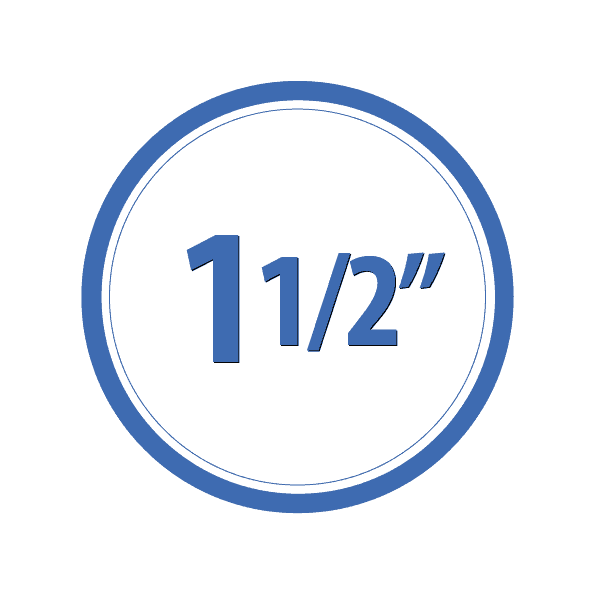 The Ret Ring® with Crush Gauge is a tool accessory used to attached large impact sockets to the square drive anvil on high speed impact wrenches. SAFETY - Trusted by industry leaders as the safety solution for impact wrenches. PATENTS - The Ret Ring® is covered under United States patents 4266453, 4583430, 6076436, and 7363840. The Ret Ring® with Crush Guage is a tool accessory used to attached large impact sockets to the square drive anvil on high speed impact wrenches.